Hello readers! Sorry for my lack of posting lately. I have finally started Chef School at George Brown and I have just been quite busy! I thought I would share a photo with you - from my FUNDAMENTALS OF BUTCHERY class. Last week was butchering a chicken - this week a lamb shoulder. 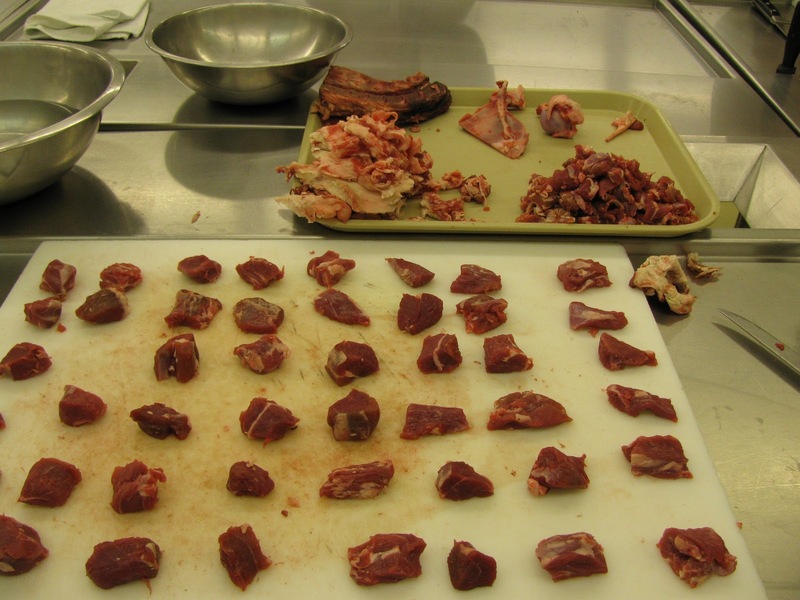 We had to cut into stew meat size, uniform shapes of course! Here is the great photo from the lab - courtesy of Carl, one of my classmates!